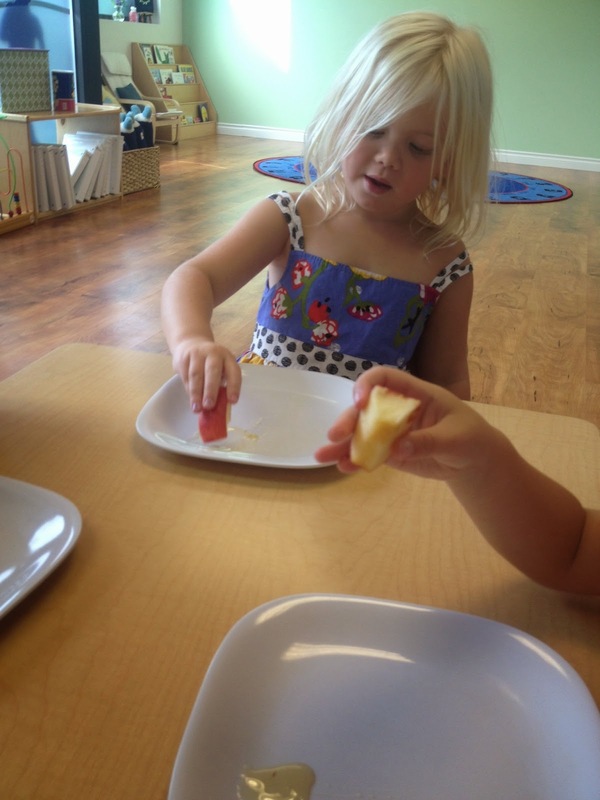 myGanBlog: "Apples dipped in honey, we do eat!" 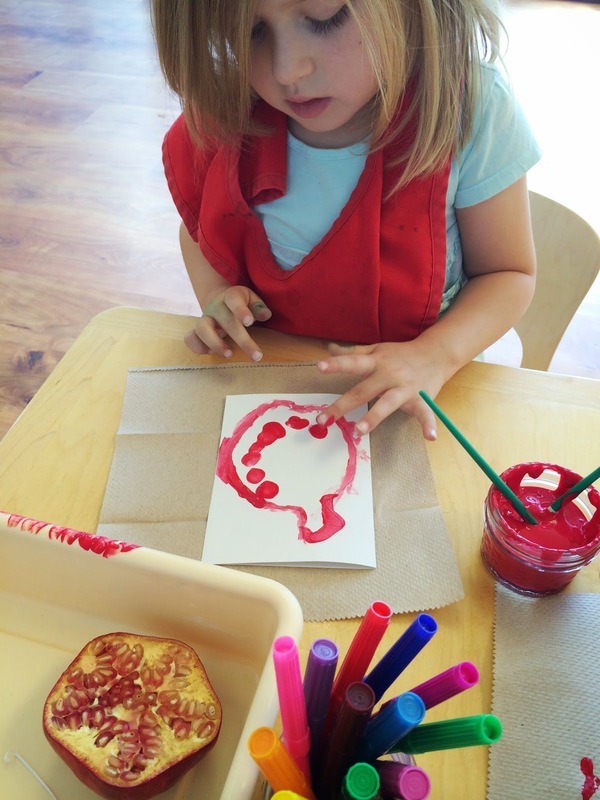 Morah Tzivie: A very interesting and special holiday is coming soon. Abigail: We dress in fancy clothes. Ari: I had my birthday and daddy set the table. 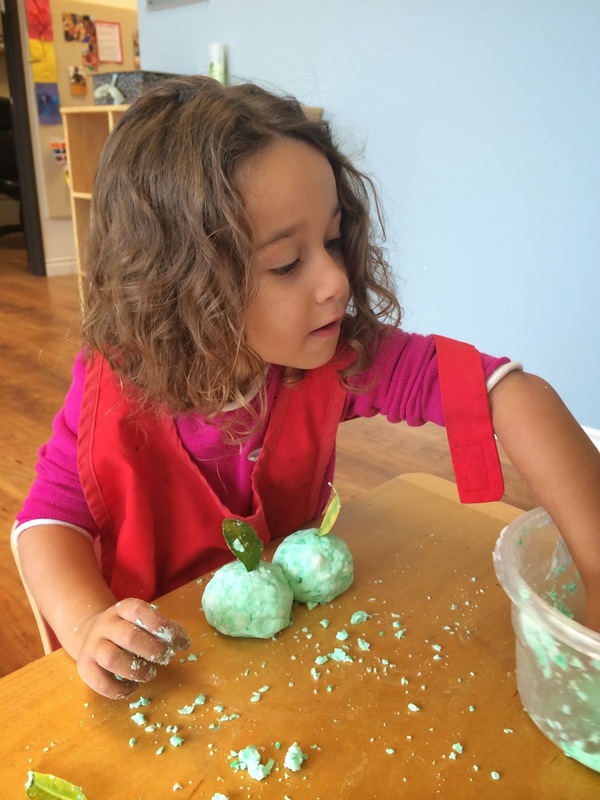 Morah Tzivie: This holiday is like a birthday. Ari's birthdays was the first day Ari's new year, now he is 4. This holiday is the beginning for all of us, it is our new year. 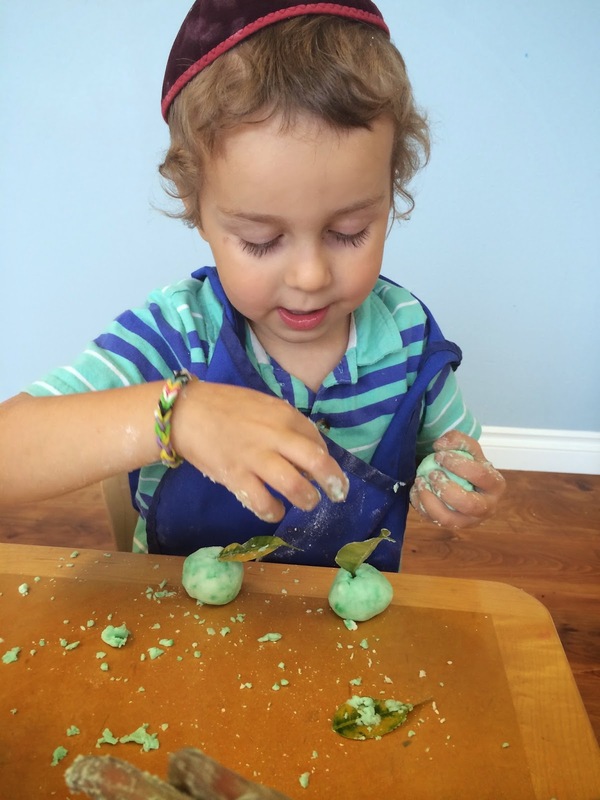 Morah Tzivie: Many special things happen on this special holiday. I have something very interesting in this bag, I want you to feel it and tell me what you think it may be. Anton: It feels like a bone. 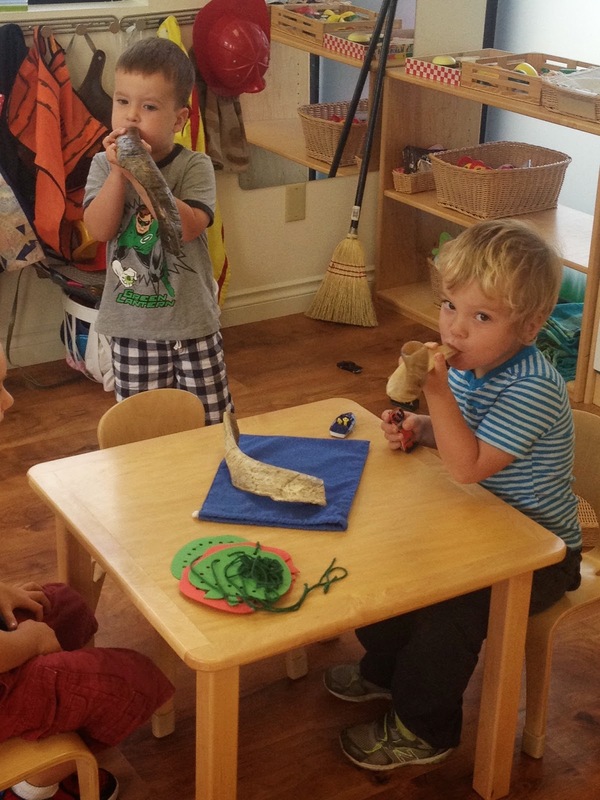 Morah Tzivie: On Rosh Hashanan the Rabbi will blow the shofar to remind us that it is the new year. When we hear it, we think; Oh it's the new year! This year I am going to do lots of sweet kind things! 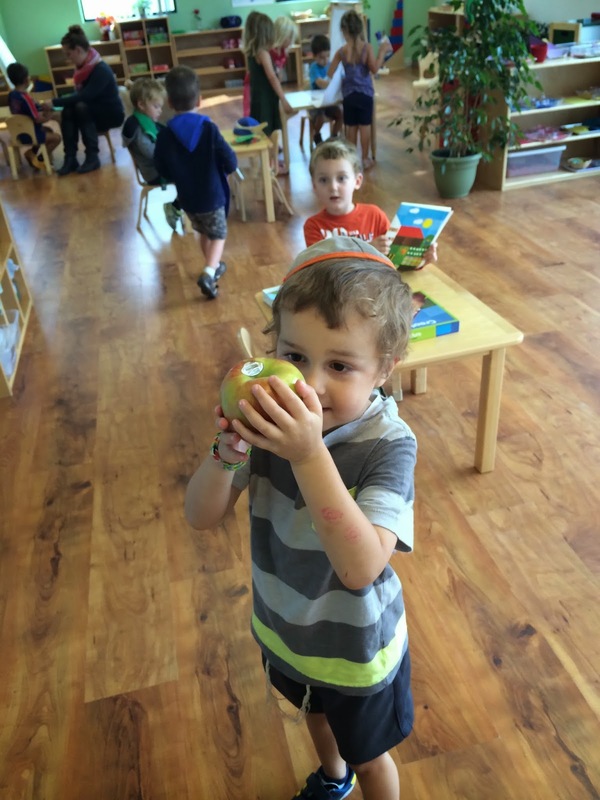 Morah Tzivie: Another fun and interesting thing we do for Rosh Hashanah is dipping apples in honey. It reminds us to make the new year sweet for everyone. How can you help your friends have a sweet new year? Abigail: We can use nice hands. Anton: You can give them hugs. 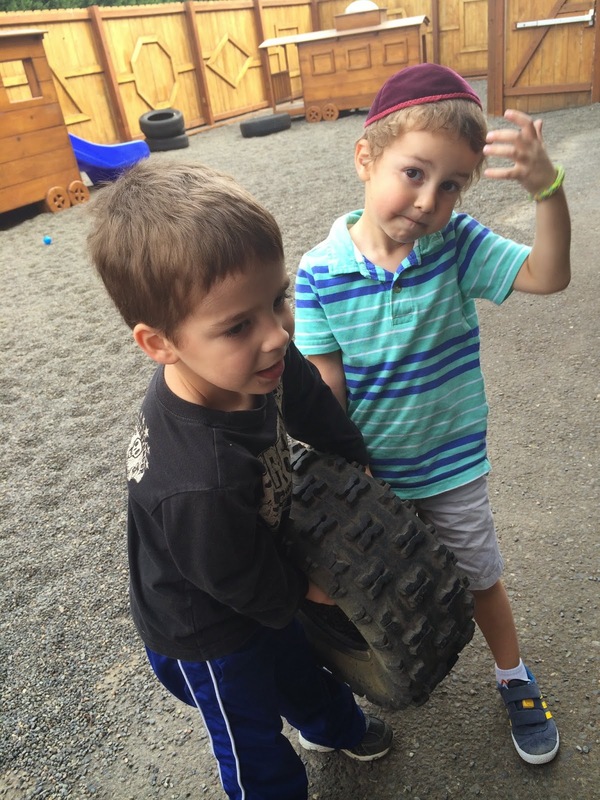 Natan: You can play with them. Isaac: You can pick a seashell and share it with your friend. 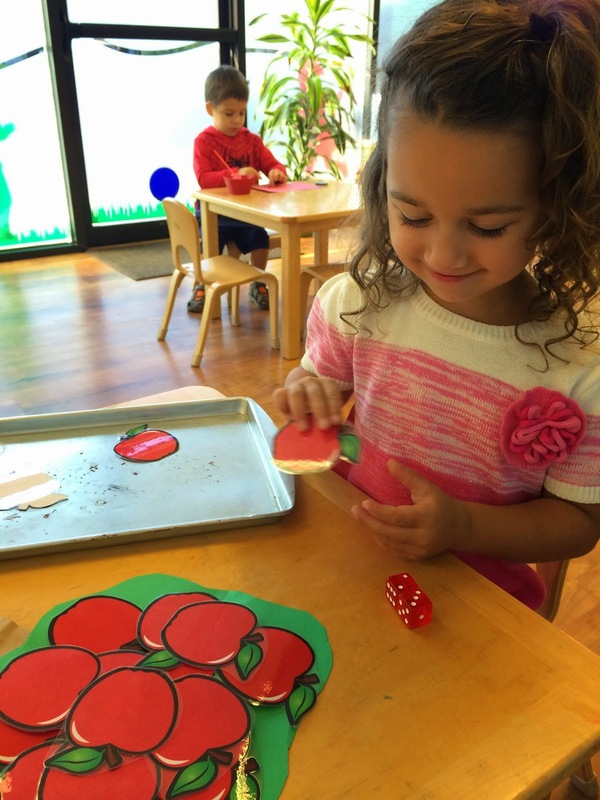 Morah Tzivie: We dip the apples in the honey to remind us to make the new year sweet. 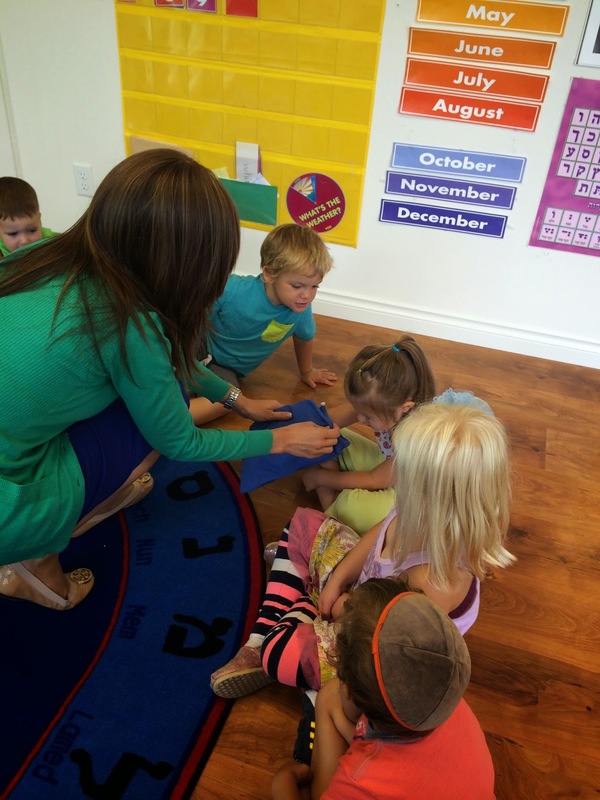 Morah Tzivie: Rosh Hashanah is getting closer. Tell me what are some special things we have and do for this special day? Sroli: Apples dipped in honey to do sweet things. 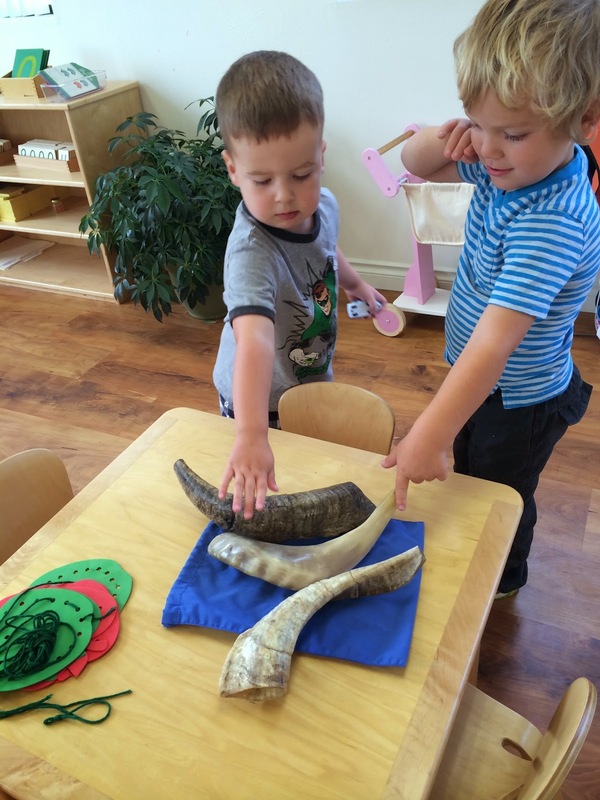 Morah Tzivie: What do we say on Rosh Hashanah? 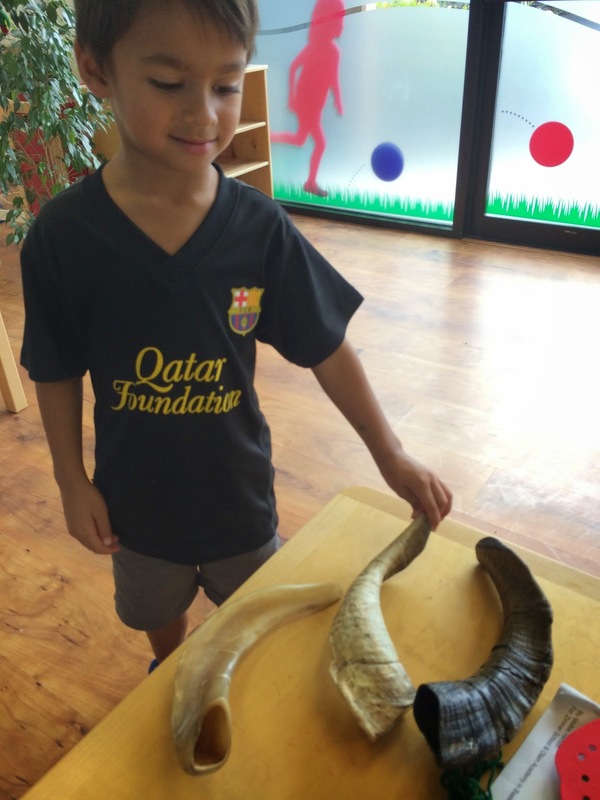 Morah Tzivie: There is something else we have at Rosh Hashanah. What is this? 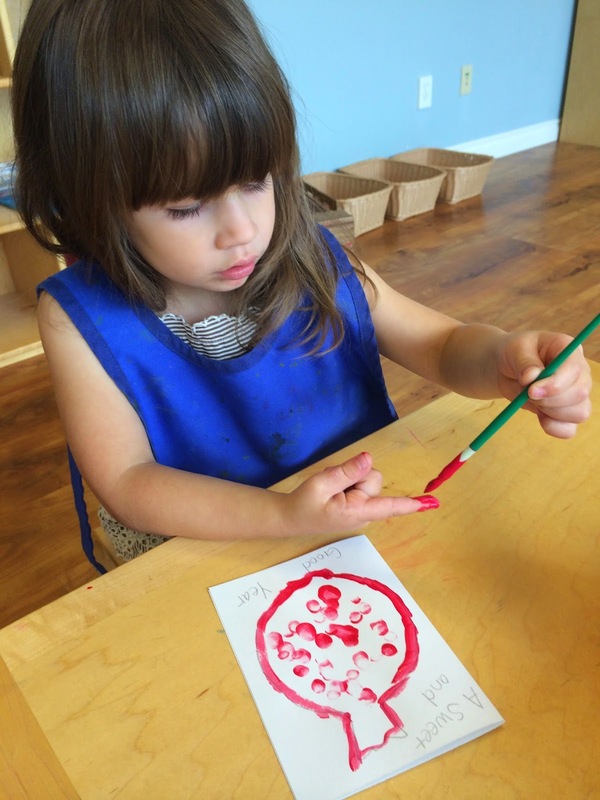 Morah Tzivie: It is red like an apple. 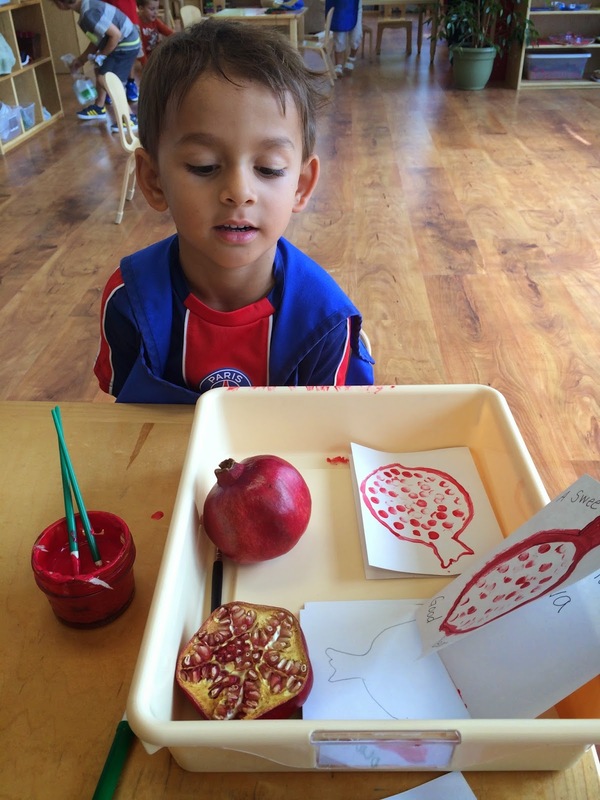 Morah Tzivie: What do you think is inside this pomegranate? What will we see when we open it? 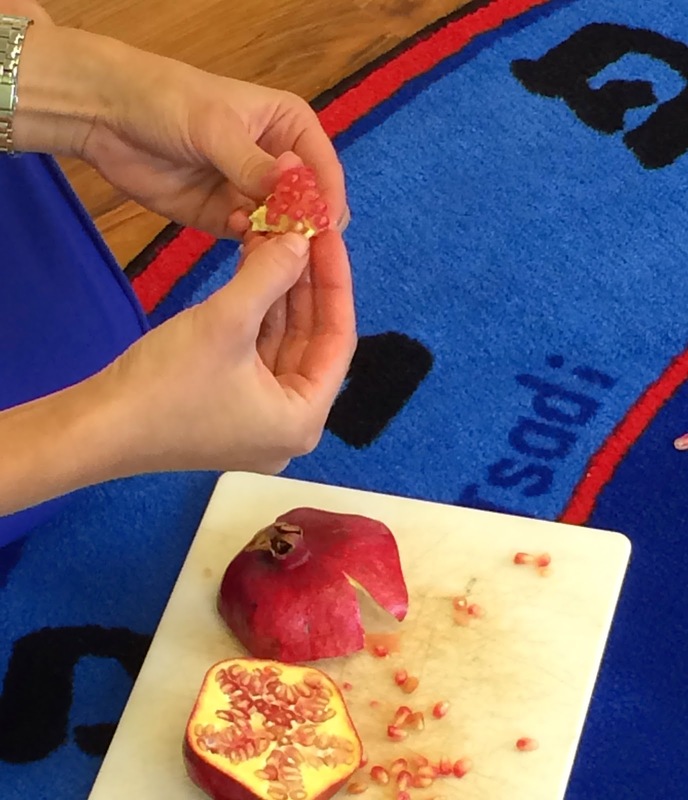 Morah Tzivie: How many seeds do you think are in this half of the pomegranate? 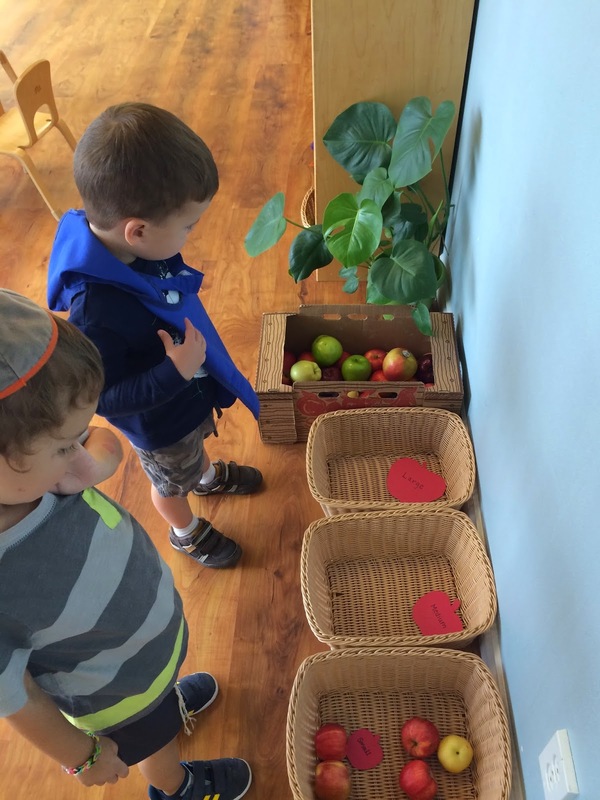 Morah Tzivie: Let's count how many seeds on in this tiny section. 1, 2, 3(all the way to)..45! These seeds and this pomegranate make me think "I hope SO MANY sweet things happen this year! I can do SO MANY sweet things this year for my family and friends! What are some of those sweet things we can do? 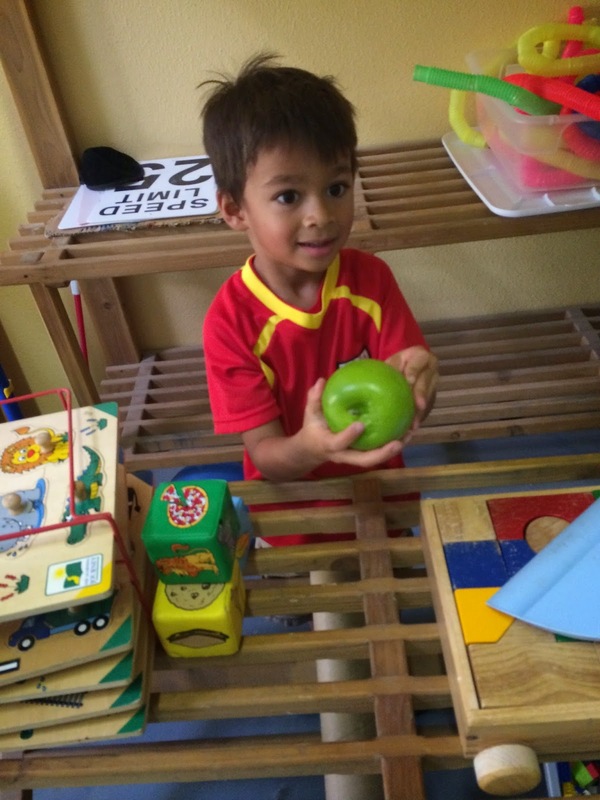 Isaac: Share the toys I play with others. Anton: If they need a hug you can hug some one. Judah: We can give shoes to people who need shoes. 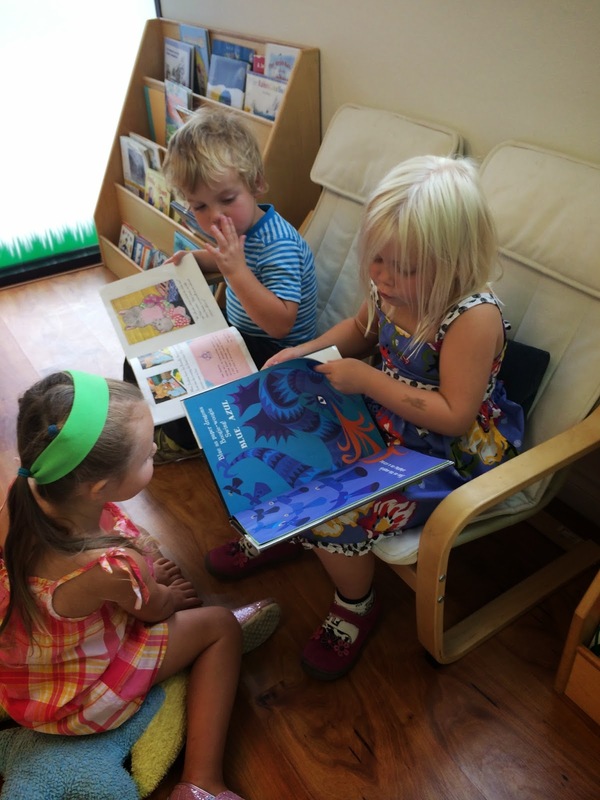 Amelia: I can help my mom. 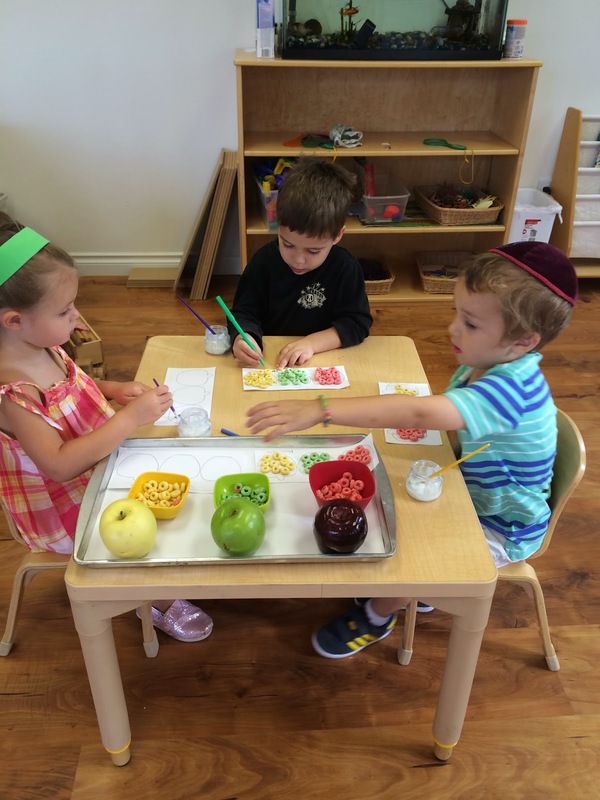 Sroli: We have a Rosh Hashanah table. Team work is fun and helpful! 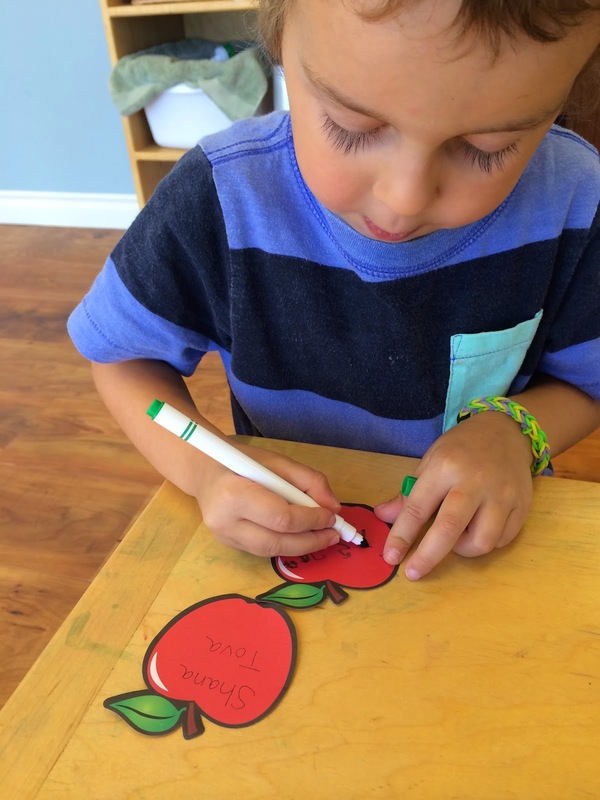 To inspire sweet kind choices we have many apple activities. Apples dipped in honey we do eat. We ask Hashem to give us a new year so sweet." Morah Katie: Today is a new day. The New Year is coming, what sweet kind thing will you do today? Sroli: I will help someone get water. Anton: I will share the ball. 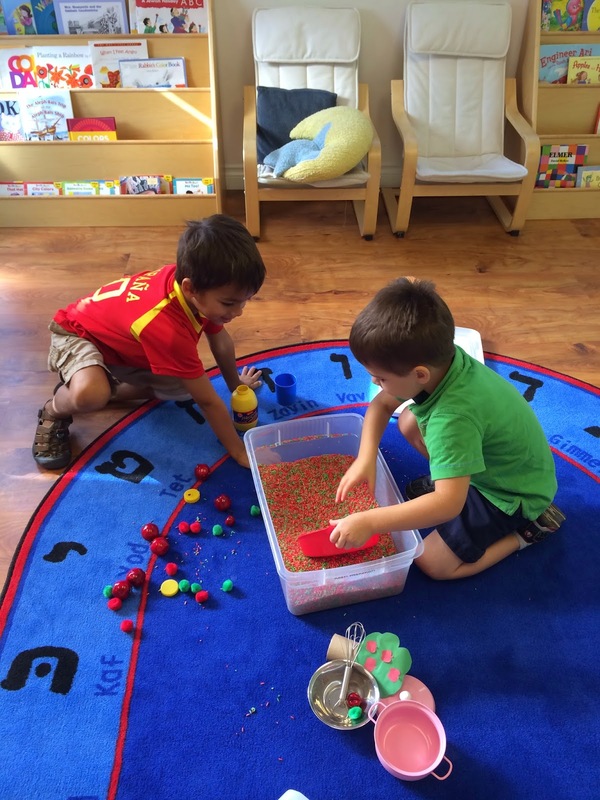 Isaac: I will invite a friend to play with me.